One World/Strivers Row, 9780812970333, 272pp. In this wry fiction debut, Elaine Meryl Brown plunges lucky readers into a gripping narrative of small-town hijinks and big-time hearts. Rule Number One: Never marry an Outsider. If you do, the boll weevil will bite you back. Rule Number Two: If you can’t be honest, you might as well be dead. 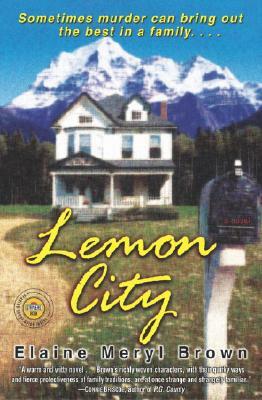 Nestled in the foothills of Virginia’s Blue Ridge mountains, Lemon City has ten rules, all designed in the best interests of its tight-knit black community. Granddaddy Dunlap knows all too well what can happen to folks who venture beyond Lemon City’s protective borders. He once had to venture outside town to identify his best friend’s body. So when his firebrand granddaughter Faye, returns from college married to an Outsider, he must act fast to keep her in Lemon City’s safe embrace. It proves to be a challenge–and not just because the patriarch is distracted by the tensions arising from the heated tomato-growing contest for the annual county fair. Faye’s new husband, Harry, is a slick talker with a roving eye. Faye sees him as her ticket to New York City, where she hopes to fulfill big business dreams, but even the best-laid plans can be thwarted, as Faye discovers that marriage itself isn’t much of a honeymoon. No matter. She packs her bags, fully prepared to head north with or without her husband, when Harry turns up dead. Now the Dunlap family is trying to figure out–before the Thanksgiving turkey gets cold–who did the deed. Elaine Meryl Brown is a former vice president of creative services at HBO and has held the position of creative director at Showtime Networks. She is an Emmy Award–winning writer. Brown has written for national publications including Essence and Women's World.